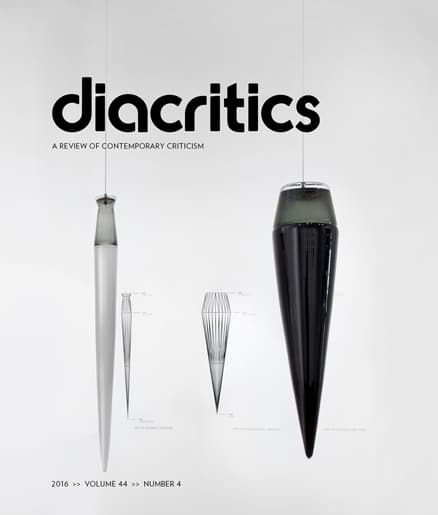 Our latest issue has shipped, with essays on William James and chance, the Foucault/Derrida debate, the meaning of clichés, and a translation of the late Nicolas Abraham's seminar on the dual unity and the phantom. On the cover and throughout the issue, glass sculptures by Norwood Viviano portray the relationship between industry and population change in American cities. We hope you will read and download at Project Muse.